The Skin Caviar Collection is the essence of the luxury of choice. Balance, proportion, unity: the principles of design and art. Luxury skincare brand, La Prairie launched a brand new product from their Skin Caviar line, called Absolute Filler. Throughout the years, artists have always used volume and texture to infuse particular elements into their works in order to create a well-balanced piece. Just as in art, the same principles are true for skin care, they are just as essential in developing aesthetic harmony. Beautiful, healthy, skin ensures youthful and harmonious facial contours. Skin Caviar Absolute Filler is specially formulated to target the loss of the very volume and substance that gives skin its youthful appearance. La Prairie’s new Skin Caviar Absolute Filler returns this lost density, plumping while helping to reshape and refine the contours of the face. La Prairie’s latest caviar technology is used for the first time with Skin Caviar Absolute Filler. 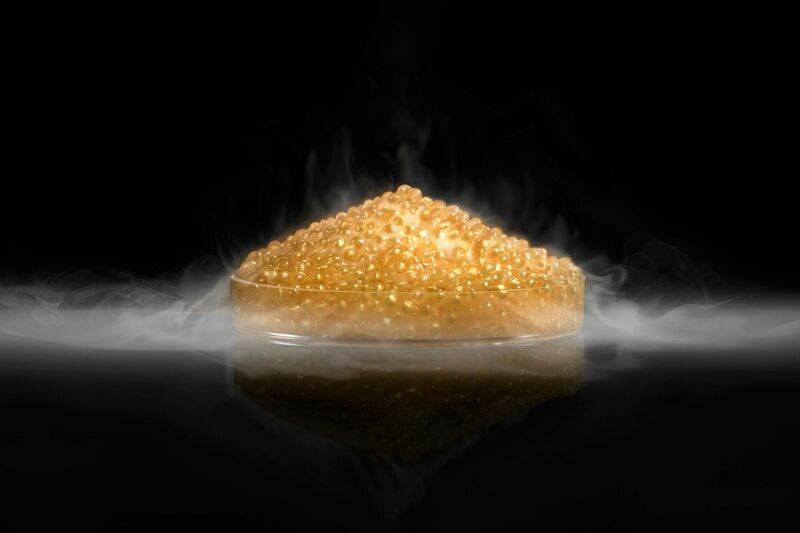 It features an advanced technological process that captures the most potent nutrients found in caviar. The caviar’s lipids and proteins are isolated to better capture their power and are then re-combined. This new product contains highly concentrated caviar oil and caviar proteins. These components are designed to increase skin volume and firmness, nourishing the skin with rich nutrients to stimulate collagen formation. The mixture is blended with brown algae and peony root extracts, which helps smoothen the skin’s texture and increases its elasticity. La Prairie’s proprietary retexturising Tissue Guidance Matrix helps strengthen the extra-cellular matrix, contributing to plumper, more hydrated skin. With Absolute Filler you will experience a phenomenal filling action, giving you younger looking skin! The launch of this one of a kind cream was held at Provenance Art Gallery in Shangri-La At The Fort, where guests were totally immersed in all forms of beauty. Everyone was even given the chance to paint their interpretations of the caviar pearls, guided by artists Jeremiah Tallent. This activity highlighted that there is in fact an artistic process to skincare, emphasizing how much every detail matters.